PHOENIX - The fight over legalizing recreational pot in Arizona is heating up. 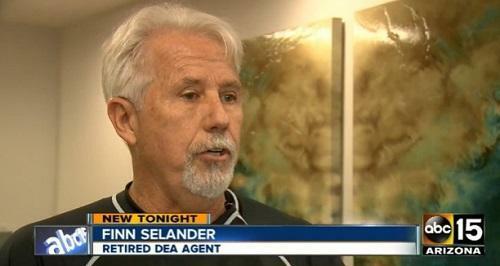 A retired DEA agent with 18 years of experience tells ABC15 he believes it should be legalized, taxed and regulated. “What we're talking about, is prohibition and ending prohibition,” said retired DEA agent Finn Selander. Selander says he wants to see the money and taxes go back into the state. He believes the U.S. is responsible for creating big business for the drug cartels running marijuana.